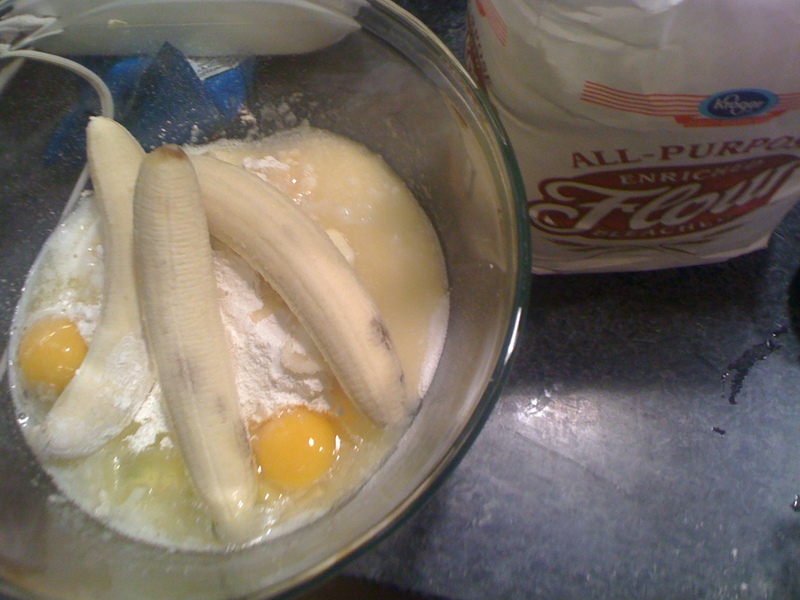 A long long time ago, I broke into baking quite unexpectedly. I made banana bread. It really didn't seem too complicated. I saw a recipe somewhere and thought to myself, "I could do that." 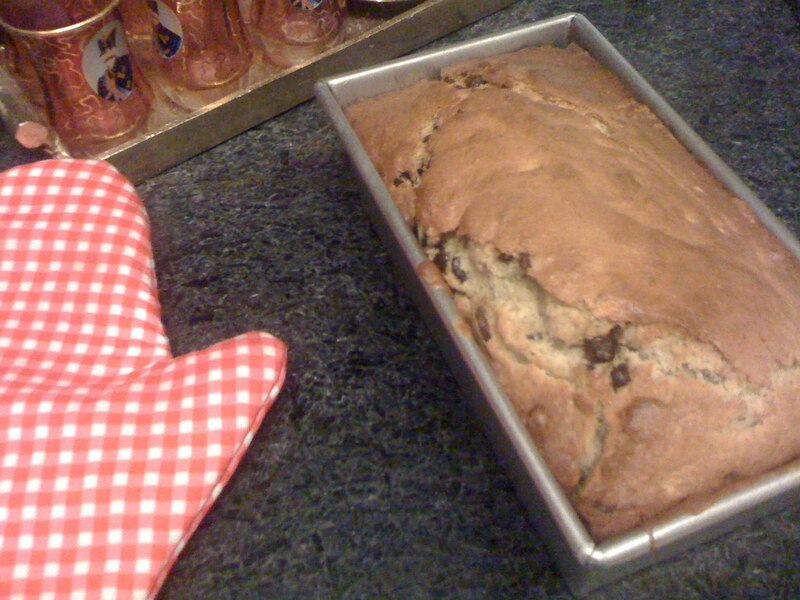 Years later, I still make this banana bread for my dad. It's his favorite cake and he always asks for it. I have since change the amount of sugar and milk, the number of bananas...all to my liking. This particular version has chocolate chips, but it's a great recipe on its own. Pre-heat oven to 350 degrees F. Butter spray a loaf pan and set aside. Dump everything into bowl except chocolate chips. Mix with whatever you've got, although an electric mixer here will have you done in no time. The batter will get smooth and lighter in color. Fold in chocolate chips. Pour batter into loaf pan. Bake 58 minutes. What is this awesome blog you have? !